The owner of an 18th century double-manual harpsichord, the only one of its type known to exist, has been temporarily prevented from exporting the instrument by the Department for Digital, Culture, Media and Sport (DCMS). This 18th century double-manual harpsichord by renowned maker Joseph Mahoon has been temporarily prevented from export from the UK. The UK government hopes a UK buyer can be found to match the £85,560 that the owner paid for the harpsichord last year. The instrument by renowned maker Joseph Mahoon has been temporarily blocked from export by Michael Ellis, minister for arts, heritage and tourism, following a recommendation by the Reviewing Committee on the Export of Works of Art and Objects of Cultural Interest (RCEWA) administered by The Arts Council. The RCEWA said the instrument is “closely connected with British history and national life, and is of outstanding significance for the study of music, musical instrument making and the history of performance”. The walnut-cased double-manual harpsichord, made in London in 1738, was purchased at auction at The Canterbury Auction Galleries in Kent in June 2018 and was the top lot in the dispersal sale of The Colt Clavier Collection of historic and important keyboard instruments. The collection, one of the largest of its type in the country, was started in 1944 by Charles F Colt (1911-85), whose family fortune was made producing prefabricated timber houses. Mahoon is believed to have been active as a harpsichord maker for more than 40 years, but only two harpsichords and about a dozen spinets bearing his name have survived. The only surviving British harpsichords dated between 1730 and 1739 were those by Mahoo. The golden age of the harpsichord ended with the introduction of square pianos in 1760. The US buyer purchased the instrument for a hammer price of £69,000 and later applied for an export licence which has been temporarily declined. A buyer must match the price of £85,560 which is the hammer price plus fees. The government has delayed its decision on the export licence until April 10 and could extend this until July 10 if a buyer comes forward with a serious intention to raise funds to purchase it. 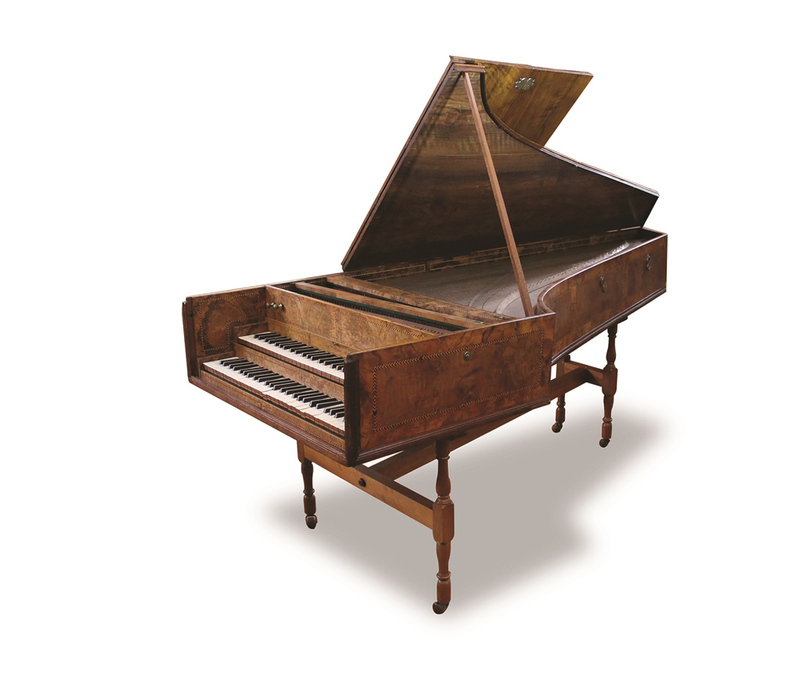 Before the auction, the harpsicord had been on loan to the Germanisches Nationalmuseum in Nuremberg and on display at the Stadtmuseum in Munich.